It certainly does feel like home, however our owner is ready to downsize and hence is committed to moving on. This is a beautiful family home with excellent orientation for the sun and a lovely garden setting, only minutes walk from the Prebbleton village. 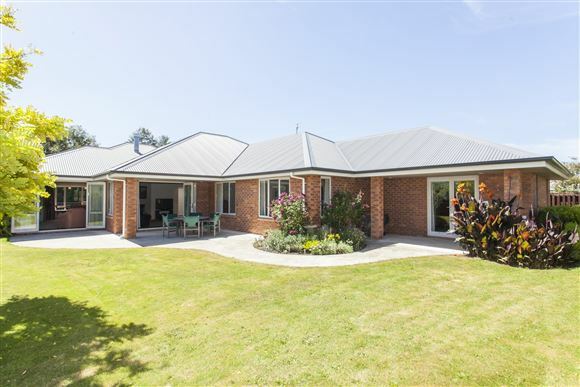 A very generous 232m2 of house which comprises of 4 bedrooms, master with ensuite, 2 doubles and a single. Open plan kitchen/dining/lounge and a separate second living room, additional bathroom, separate laundry and a very generous double garage with a workbench. Brick construction, double glazed, underfloor heating, gas fire and heat pump ensure year round comfort. Bi-folding doors open out to the tranquil garden and provide a paved and sheltered entertaining area. Zoned for Prebbleton School and Lincoln High School. The domain is only 2 minutes walk away with sports clubs, playing fields and tennis courts as well as the convenience of the much admired Prebbleton village just as handy to home. This is a real gem and a very genuine selling situation for a great family home!